It ain't no coincidence that they save the best for last -- in this case, Paris. 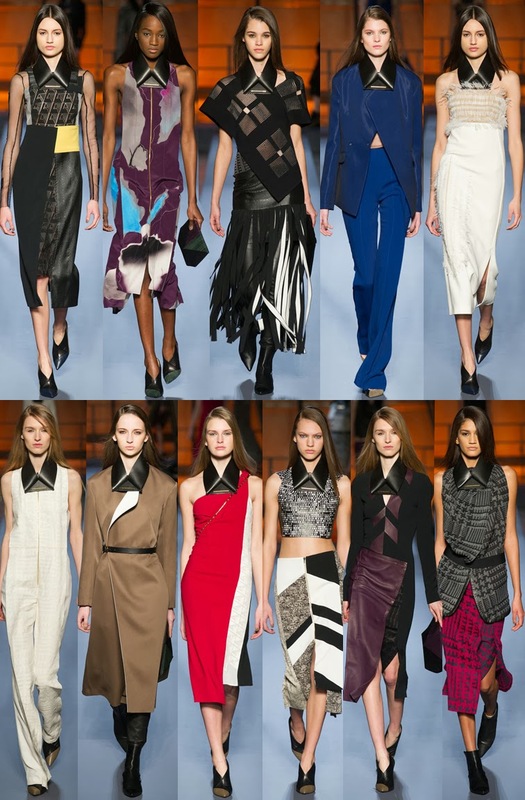 While the fall 2014 shows have been generally incredibly strong, the French dazzle in a whole different capacity. Let's proceed with the fashion capital's coverage, shall we? The tailoring in a Raf Simons-designed collection is always bar none. His hand is masterful, he proved that when he was at Jil Sander, but since he's been at Dior, where he is also responsible for two couture collections a year, he's been surpassing himself. Never have I been taken by the house of Dior so much as I am now. He's breathed an entire new life and chapter into the legendary name, and has managed to do so without compromising any of its codes. If anything, they are being embraced and updated. Fall 2014's collection was very structural, as well as sculptural. The clothes were fit for every day, the dresses were special while keeping that clean aesthetic he is known for. It was splendid. 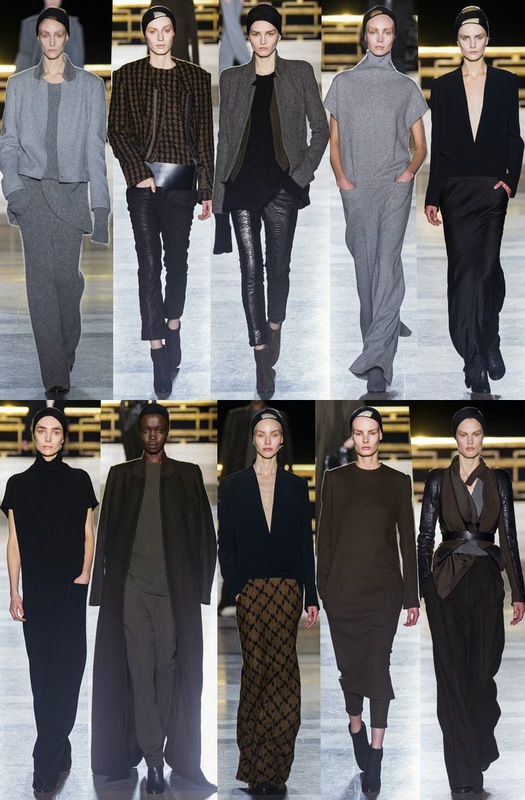 Haider Ackermann is one of my favorite designers. His aesthetic reaches me to my core and I can't help my heart from skipping beats at the sight of every collection he presents. For fall 2014, he induced in me yet another case of heart palpitations. While his use of colors is usually very liberal, this time the catwalk was devoid of them. The palette was dark, but warm, and he used one of my favorite hues in all of its variations: grey. There was a streamlined spirit that was pushed further than what we are used to seeing from him, with relaxed fits, modern silhouettes and an overall appeal to cool women of all ages. Can't wait to see what Tilda turns up in. The woman who embodies Parisian effortlessness and gave the look a uniform a few years back has done it again, this time exploring a few new things. Fresh off the heels of an insanely successful H&M collaboration, Isabel is unstoppable. Every season, she creates a couple of items that generate the highest level of lusting frenzy that renders them "It" as soon as they hit the catwalk. 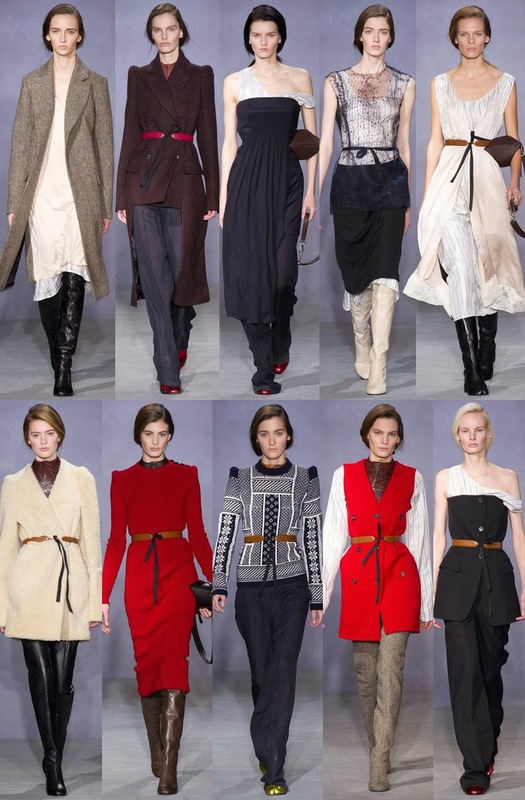 This show had a bounty of Marant voodoo: loose, easy sweaters offset by teeny tiny high-slit skirts, lots of leg and loose trousers with belted jackets. Her girl is the epitome of cool. For fall 2014, Margiela offered us the perfect fusion -- literally -- of menswear and womenswear. And it worked. Pretty lace and frilly tops attached to heavier suiting, overcoats nipped in the waist, it was all very englishman meets french maid. 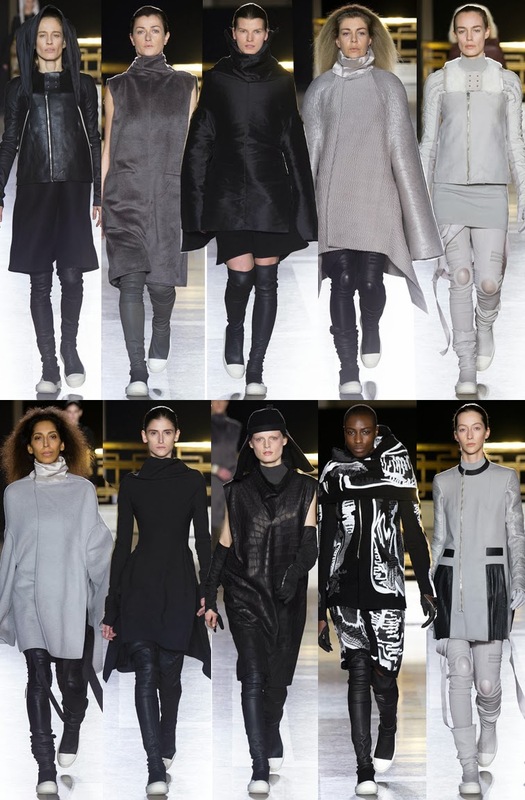 It was really refreshing to see real women of all ages walk for Rick Owens this week. You always get a sense from his shows that there is a certain unity within his clan, both backstage and on the catwalk. He's the type of designer that has a very sharp, specific point of view and his followers are cult-like. This time around, his clothes had a softer edge than what we typically see from him: they were cozy, cocooning, embracing, yet never without that unmistakable Rick Owens stamp all over them. The man knows a woman's body, there is no doubt about that. His dresses never fail to complement the feminine shape in all the right ways, the very definition of figure-flattering. I adored how he incorporated a mix of hard and soft this season: tough, rigid leather collars worn by the models throughout, yet pretty feathery bodices appeared here and there. Tassels gave everything a beautiful flow, as well an ideal balance of slouch and form-fitting. Kudos. Love this post Helene and you're so right they really know how to WOW there. I really like the Dior collection. Thanks for posting so many too, it was fun to look through! Terrific round up and very impressed by these collections. Lovely recaps. The hightlights you picked are fantastic. I definitely loved the silhouettes this season. I’d love for us to keep in touch via bloglovin’ or GFC! Let me know on my blog, I’ll be sure to follow back!